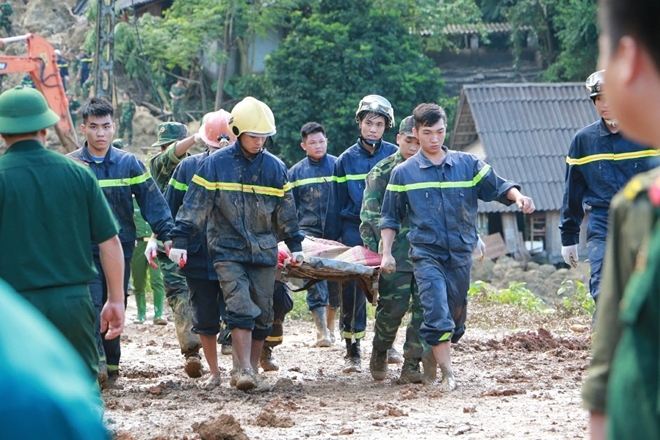 Hundreds of Police and Army officers and soldiers were deployed to the landslide site in Khanh hamlet, Phu Cuong commune, Tan Lac district, Hoa Binh, for rescue missions. 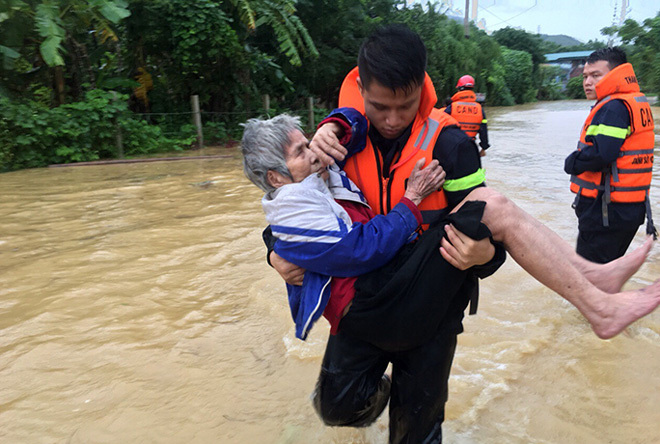 Many officers and soldiers of the Thanh Hoa Provincial Fire Police have been mobilized to danger areas to solidify local dykes at risk of breaking and to evacuate people from flooded areas. The authorities of Hoa Binh province have declared state of emergency as soon as the Hoa Binh Hydropower Plant has opened 8 floodgates to ease the water pressure of the hydropower reservoir. 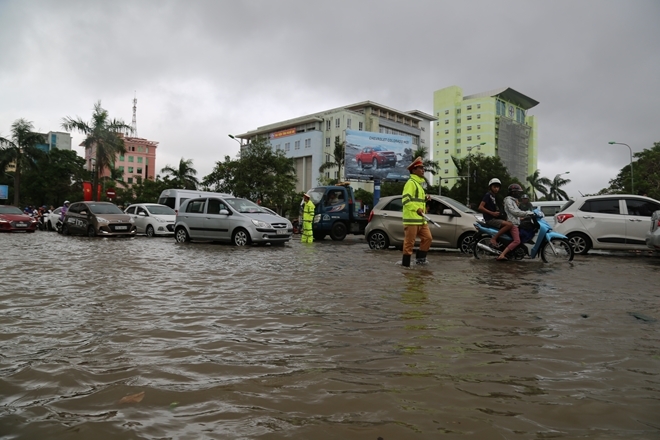 Meanwhile, many places in Yen Bai have been gulfed by flooding water, and thousands of households in Thanh Hoa have fled from flooding. 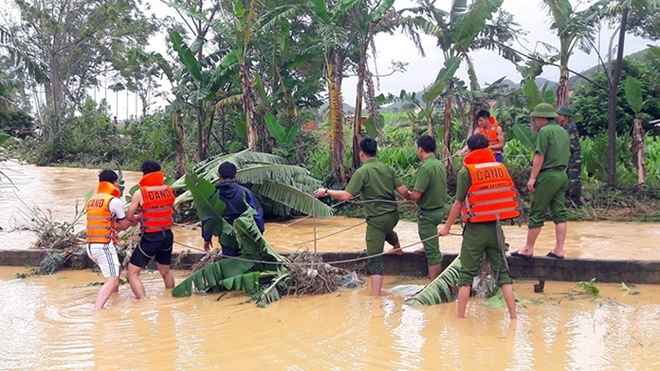 The Provincial-Level Committees of Climate Change Response, Natural Disaster Prevention and Rescue (Directing Board) under the Ministry of Public Security (MPS), Fire Police Departments from Ha Tinh to Quang Binh and various relevant agencies received urgent dispatch No.13 on preparation for tropical depressions, heavy rains and floods. 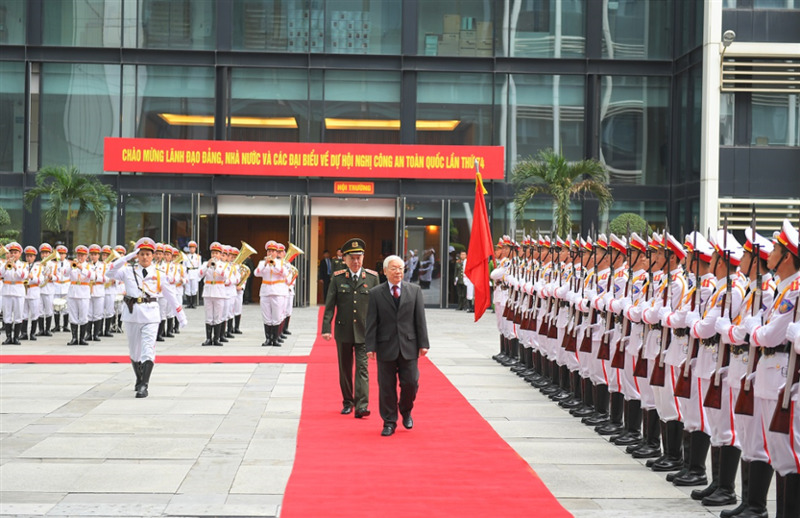 For many years, the People's Police Academy (PPA) has regularly launched and carried out volunteer activities in various regions of the country. 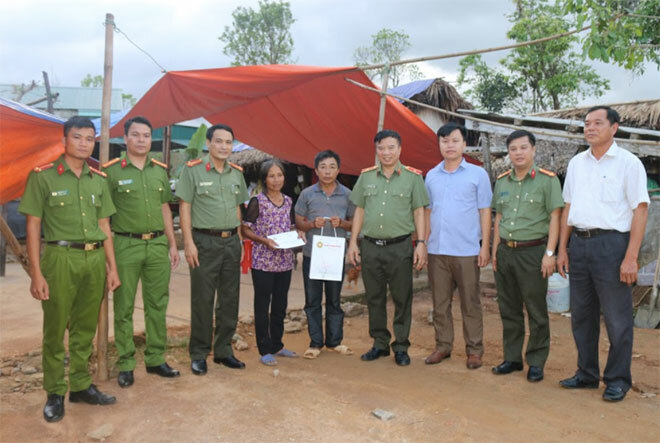 A charity delegation of the People’s Security Academy (PSA) led by Major General Le Minh Hung, Vice Rector of the Academy, and the Bank of Investment and Development of Vietnam (BIDV) visited and supported storm-hit people of Ky Xuan and Ky Hop communes, Ky Anh district, Ha Tinh. 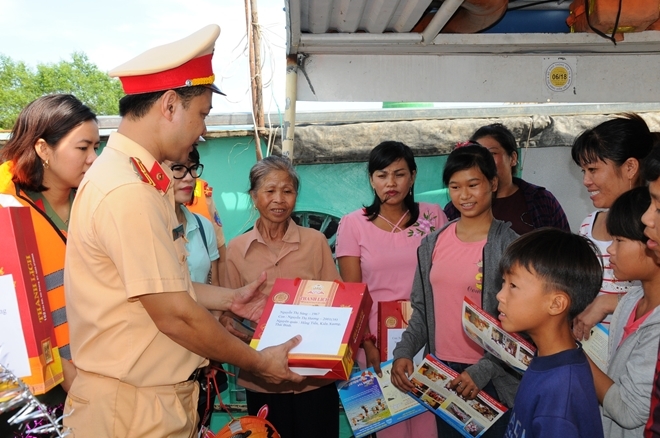 The Women's Union of the Hai Phong Waterways Police Division in collaboration with its trade union and Waterway Police Unit 4 on October 3 visited and presented gifts to needy families and children living in fishing village along the Cam river, Hung Vuong ward, Hong Bang district, Hai Phong city. 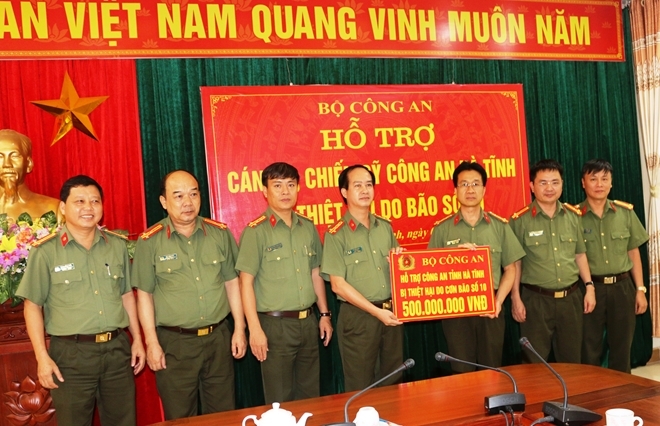 To ease difficulties of families of local officers and soldiers affected by typhoon No.10, a delegation of the Department of Policy offered VND 500 million of support to them. 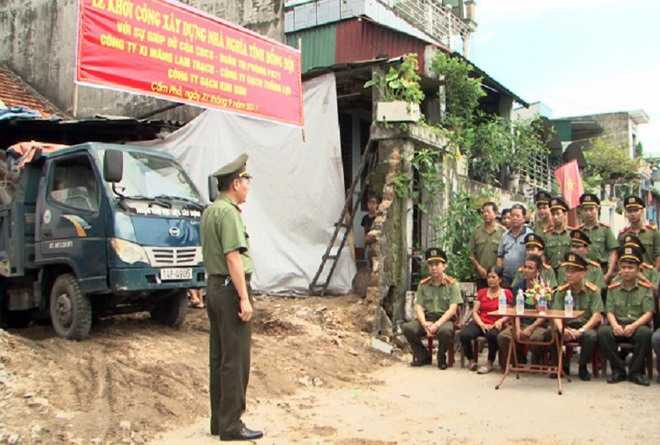 The Quang Ninh Provincial Police presented VND 130 million to a needy police officer on October 2. The fund will used to build a gratitude house for his family. 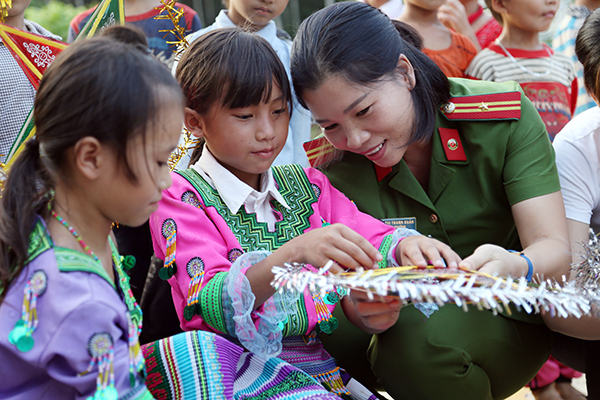 All members of the Youth Organization of the People's Police Academy and students of Thai Nien 1 Primary School made star lights, performed flash-mob dances and enjoyed many other exciting music performances.